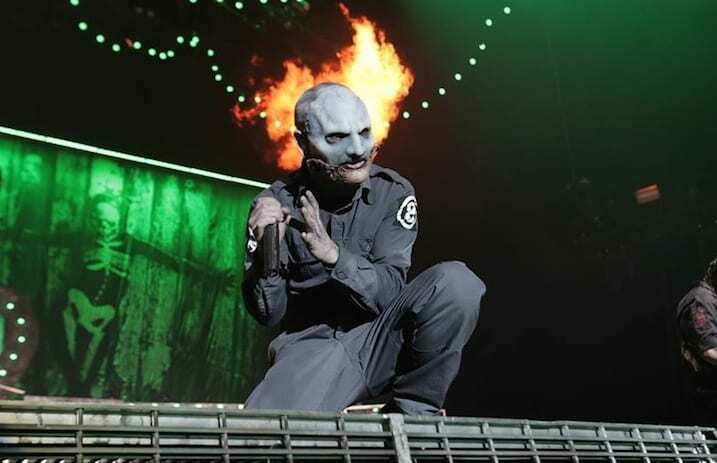 Corey Taylor says he wants Slipknot's new album to be “violent” and “uncomfortable,” according to his recent interview with Metal Wani (via Loudwire). Hear some audio of the singer's Slipknot comments below. Taylor's name has been a frequent fixture in the music press as of late, as he's seemingly been busy refuting the claims of Nickelback's Chad Kroeger and Linkin Park's Chester Bennington. The Stone Sour and Slipknot frontman also made a revelatory appearance on a recent episode of Viceland's The Therapist. Would you be down with a “violent” and “uncomfortable” new Slipknot record in approximately two years' time? Let us know what you think in the comments. Previous articleQUIZ: Do you remember the lyrics to PTV’s “Chemical Kids And Mechanical Brides”? Next articleDid you notice anything different about Spotify’s “Rock This” playlist?